The 2019 Honda Fit is full of value. The subcompact car features a number of technology and safety features, sporty styling, and serious cargo space. When we say that the Honda Fit can fit with almost every lifestyle, we mean it. 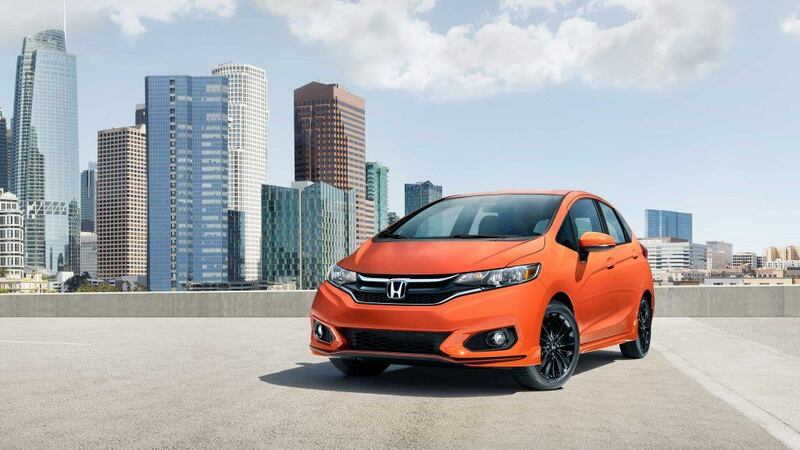 The 2019 Honda Fit styling continues with the streak of sporty and sophisticated looks that the model is known for. The body lines and contours of the exterior flow into the headlights, grille, and badging. This flow creates a uniquely styled front end that has just enough of a sporty edge and attitude. This is only enhanced by the headlight housing and fog light design. At the other end, the rear spoiler and chrome trim showcase the personality of the 2019 Fit. With the accent of the LED taillights, the new Honda Fit is stylish from every angle. The 2019 Honda Fit is known for being a small, compact vehicle. However, with the clean interior design, Honda maximized the interior space in the 2019 Fit as much as possible. Inside the vehicle, there are over 93 cubic feet of passenger space, with available seating for up to five people. Honda also maximized the cargo space available. The spacious rear hatch offers up to 52 cubic feet of cargo capacity available inside. The 2nd-Row Magic Seat offers versatility, with four configurations allowing you to easily haul cargo of all sizes. The 2019 Honda Fit is packed with 40+ technology features to make your life easier. The Honda Satellite-Linked Navigation System with Voice Recognition and HD Traffic helps you take on any route with confidence. New technology included in the 2019 Fit includes a Multi-Angle Rearview Camera, Push Button Start, Honda Lanewatch, Smart Entry, and more. The new Fit also includes 15+ available connected audio features, such as Android Auto, Apple CarPlay, available digital radio such as SiriusXM, HD Radio and Pandora, as well as HondaLink technology. In the 7-inch display system, you can also connect any compatible device to the audio system via USB. For more information about the 2019 Honda Fit, visit Henley Honda today. Our Sales team will help get you into the right Honda Fit model for you, with all of the features you need.